In order to fully appreciate child development, it is essential for students to be exposed to children of a variety of ages which is best achieved by observing children. However, due to numerous logistical challenges, it is difficult to conduct live, in-person observations of children. Furthermore, in order to fully discuss concepts relevant to the study of child development in class, students need to familiarize themselves with the concept prior to the class meeting. One method for achieving this is to partially "flip" the class so that students watch a video lecture that describes the concepts prior to attending class. It is our intent to create two videos relevant to a child development class. One will be an observational video of a child demonstrating problem-solving behaviors. The second will be a recording of a brief lecturing introducing the concept of a "Critical Period". A faculty guide that documents the technologies and techniques used to create the videos (and accompanying assignments) will be created. To create an observational video of a child demonstrating problem-solving. 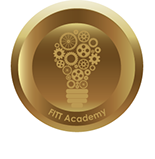 This video will be created using tools and techniques learned during the FITT Academy week. An assignment will be created that students will complete while watching the video. This assignment will be created in Blackboard to allow for online grading. To create a lecture video describing the concept of a "Critical Period," an important concept in the study of child development. Develop a survey for students to evaluate the effectiveness of these videos.